Adelaide goes bike crazy during the Tour Down Under, and for a great reason! Riding bikes is so much fun, especially when you have a Super Cycle crazy bike to ride on. 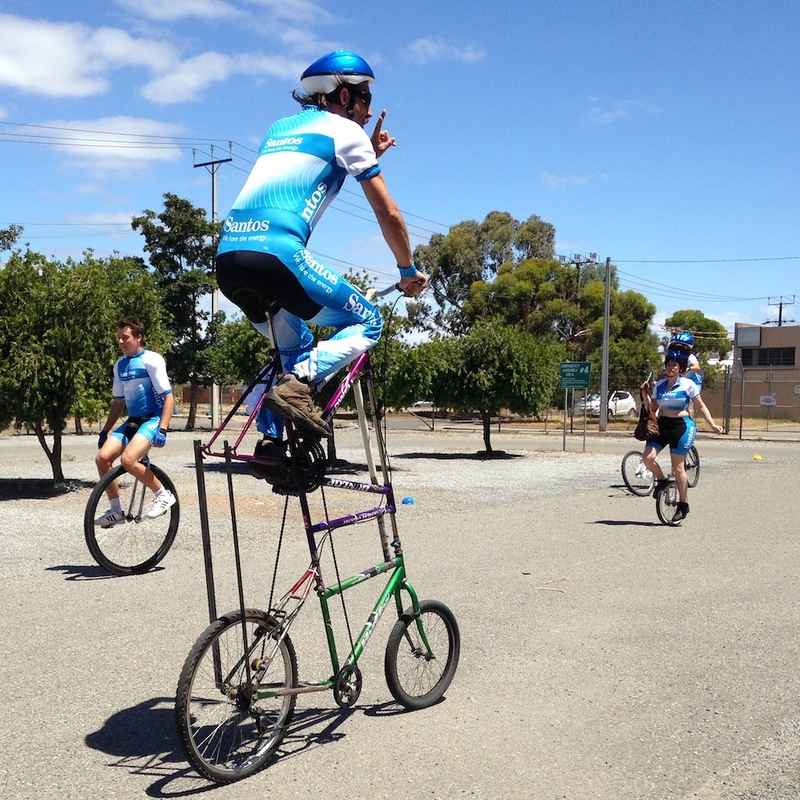 Our hugely popular Super Cycles have been out in force this year helping bring loads of fun to the tour start in North Adelaide, as well as in Norwood, and around the track. These Wacky Wheelers come in all shapes and sizes from giant unicycles, to triple decker bikes, mad penny-farthings, zig-zag ‘suicycles’ and event the teensiest tiniest tricycle.